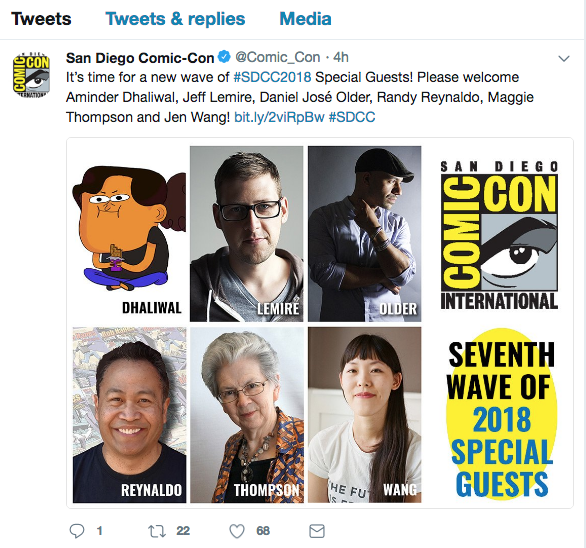 Well, the news is out—I will be a Special Guest at this year's San Diego Comic-Con, July 19–22, 2018! While I'm not quite sure how I rated such a recognition—aside from sheer stubbornness in continuing to publish Rob Hanes Adventures—I'm greatly honored and grateful to the organizers! I'll of course keep everyone apprised of anything scheduled at the show related to my participation there! You can find the announcement here along with a list of the other honoree.